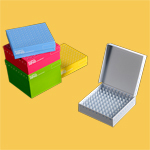 Portability, durability and safety are three huge advantages of Tisch Scientific capsule filters. 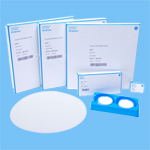 The traditional membrane filters are typically fragile and require extreme caution during handling and usage. The membranes in our capsule filters are protected during handling, making them much less fragile than typical membrane filters. Our capsule filters are fantastic for the processes that need an increased standard of product purity and sterility and high product yield. 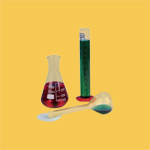 We provide a wide variety with assorted membrane materials and sizes. 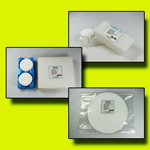 PTFE (Polytetrafluoroethylene) capsule filters are highly stable, chemically inert and naturally hydrophobic. These PTFE capsule filters are desinged for the filtration or larger volume organic solvents and aggressive chemical solutions. 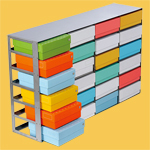 We offer them with filtration areas ranging from 500cm2 to 2000cm2. 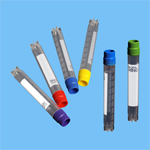 They are commonly used in venting, water and chemical/reagent purification applications. 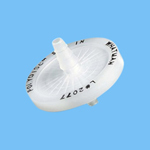 Nylon capsule filters are widely used for the filtration of heavily loaded aqueous solutions that include virus suspensions, biological suspensions, enzymes and buffers. 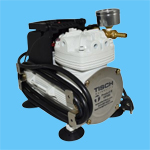 They are hydrophilic and can be supplied with filtration areas ranging from 400cm2 to 1650cm2. PES (Polyethersulfone) Capsule Filters are the most efficient and dependable in terms of quality when it comes to filtering crticial aqueous solutions. PES capsule filters exhibit consistently great flow rates. 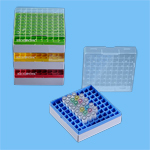 They are very low protein binding and biosafe. 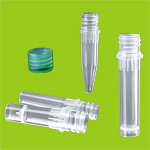 PES capsule filters are used in the filtration of tissue culture media, virus suspensions, cosmetics and personal care products, food/beverage and water. 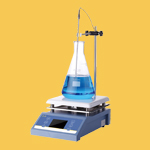 PES is ideal for pre-filtration and filtration of buffers and culture media. 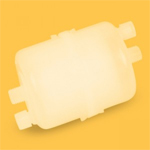 PES capsule filters are hydrophilic and provided in filtration areas of 440cm2 to 1900cm2. 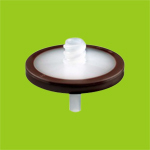 Polypropylene capsule filters are produced of pure hydrocarbon material, which ensures safe disposal when comparing it's halogen content with other hydrophobic membrane materials such as PTFE and PVDF. Polypropylene capsule filters do not have to be pre-wet prior to application, reducing the need for cytotoix wetting agents that could later be extracted. This membrane material is recommended for various aqueous and organic solvent filtration applications. Due to the negligible protein binding this membrane material offers they are efficient in providing maximum sample recovery. 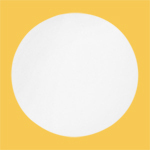 Our Polypropylene capsule filters are provided in filtration area ranges of 400cm2 to 1650cm2. PVDF capsule filters are microporous and known to exhibit high efficiency for applications where it is necessary to remove particulate. They are hydrophobic and do not dampen with aqueous fluids. PVDF has a wide chemical compatibility, superb temperature resistance and low starting resistance which allows them to be the most widely used in the off shore oil, plumbing and chemical process industries. 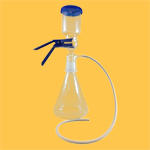 PVDF is good to use with alcohols, proteins, weak acids, peptides, and other biomolecules while it must be avoided with strong acids, bases, ethers and ketones. 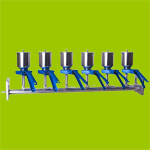 We provide these capsule filters with filtration areas ranging from 500cm2 to 2000cm2. 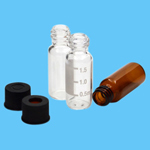 MCE (Mixed Cellulose Ester) capsule filters are widely used in the filtration of chemicals and solvents, oils, ink and pigments, coolants, varnishes, paints, food/beverage and air or gas equipment. MCE is composed of cellulose acetate and cellulose nitrate. 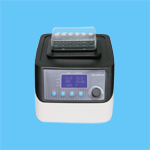 They are known for their high protein binding, porosity percentage and thermal stability. We provide them with filtration ares ranging from 400cm2 to 1650cm2.